Will the Muslim Brotherhood seize power in Egypt? This often repeated question, or rather fear, assumes that the Islamist organization does not already wield power yet may be able to hijack the largely secular revolution owing to its superior organization, tight discipline, and ideological single-mindedness. In fact, this situation already exists. For while the Muslim Brotherhood does not formally or organizationally rule Egypt, it has ideologically controlled the country for nearly sixty years since the overthrow of the monarchy by the July 1952 coup d’état (euphemized as the “July Revolution”). The real question, then, is not whether the Muslim Brotherhood will seize power but whether it will continue to hold it, either directly or by proxy. Since it is exceptionally difficult to define ideological differences and allegiances in Egypt’s Islamic politics, a simple rule of thumb will suffice: Politicians or institutions bent on implementing the Shari’a (Islamic law), or some elements of it, qualify as Islamists; Egypt’s ruling military oligarchy clearly falls into this category. Not only does the Egyptian constitution make the Shari’a “the principal source of legislation,” but the Free Officers, as the perpetrators of the 1952 putsch called themselves, were closely associated with both the Muslim Brotherhood’s military wing and the Young Egypt Society (Misr al-Fatat), a nationalist-fascist militia established in 1929 by Ahmad Hussein, a religiously educated lawyer. Both Egyptian presidents hailing from the Free Officers—Gamal Abdel Nasser (1956-70) and Anwar Sadat (1970-81)—received their early political schooling in al-Fatat, which in 1940 transformed into the National Islamic Party. Misr al-Fatat’s attempted assassination in 1937 of Egypt’s democratically elected liberal prime minister, Mustafa Nahhas, got the organization banned, and in the 1940s, the officers took their radicalism a step further by collaborating with the Muslim Brotherhood’s military wing. Some of them even joined the Brotherhood as did Nasser, who reportedly joined in 1944. In his memoirs, Khaled Mohieddin, a fellow Free Officer, claimed that Banna had personally asked Nasser to join the Brotherhood, recounting how he and Nasser swore allegiance on a gun and a Qur’an. This background has continuing relevance because it informs the Free Officers’ DNA: The leaders of Egypt since 1952 have pursued means and goals that originated in the Muslim Brotherhood. Moreover, Misr al-Fatat’s Islamic-socialist and fascistic ideas are very much alive and well, and in 1990, the party was reestablished and granted a license to work as a legal entity by Mubarak’s regime. Following Banna’s murder on February 12, 1949, by government agents in retaliation for the assassination of Prime Minister Nuqrashi Pasha a few weeks earlier, the military and civilian wings of the Muslim Brotherhood split. Nasser proceeded to form the Free Officers movement, which mounted the 1952 coup. In the coming decades, the military regime and the Brotherhood would maintain a strenuous relationship interrupted by occasional outbursts of violence and terrorism—notably a 1954 attempt by the Brotherhood on Nasser’s life—and repressive countermeasures by the regime including mass arrests and sporadic executions. But this should be understood not as a struggle between an autocratic, secular dictatorship and a would-be Islamist one but a struggle between two ideologically similar, if not identical, rival groups, hailing from the same source. In these circumstances, it is hardly surprising that in the past, some elements within the younger generations in the military would collaborate with Islamist groups or devise their own jihadist plots, notably Sadat’s October 1981 assassination by Lt. Khaled Islambouli. 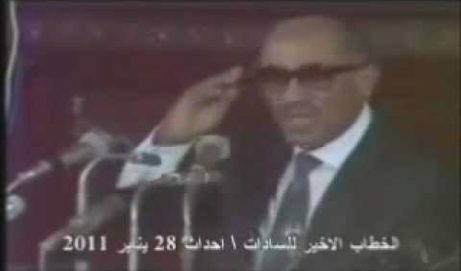 A military court sentenced Islambouli to death in 1982, but speculations that the death sentence was never carried out continue to circulate, especially after Sadat’s daughter Roukaya made that claim on Egyptian television on March 17, 2011, saying that she saw him with her own eyes at a Saudi hotel in 1996 and that the murderer panicked upon seeing her. Roukaya recently filed a complaint with the attorney general in which she accused Mubarak of complicity in Sadat’s assassination and asked for the reopening of the investigation into her father’s murder. Some other members of Sadat’s family have similarly implied that the military was involved in his assassination. 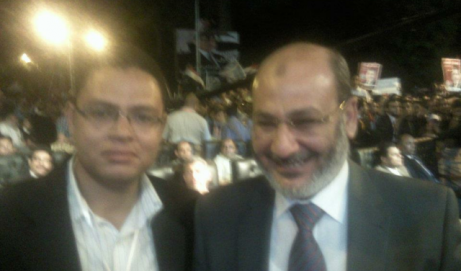 One such accusation, by Talaat Sadat, Anwar’s nephew and a former member of parliament, led to his incarceration for a year in military prison in 2006 for defaming the military. Such accusations must have been particularly galling to Mubarak, who was groomed by Sadat as his successor. Mubarak also narrowly escaped an Islamist attempt on his own life while on an official visit to Ethiopia in June 1995 and portrayed himself to the West as a relentless fighter against Islamist radicalism. To be sure, the Ethiopia incident set in motion a repressive campaign that saw the incarceration of thousands of Islamists and the execution of some. Yet this was aimed at the more militant Salafi groups, such as al-Takfir wa-l-Hijra (Excommunication and hijra), al-Gama’at al-Islamiya (the Muslim associations), and Tanzim al-Jihad (Organization of the jihad), rather than the Muslim Brotherhood, which had transformed during the Sadat years into a parliamentary opposition party. 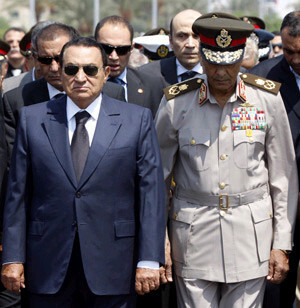 If Mubarak did indeed ban, threaten, and terrorize some Egyptians, it was the secularists rather than the Brotherhood. As cofounder of a secular political party, the Liberal Egyptian Party, whose political program calls for secularism, human rights, capitalism, the rule of law, and rejection of pan-Arabism and Islamic imperialism, this author saw it rebuffed as a legal entity by court order for being opposed to Shari’a law, which indeed it was. By contrast, not only did Mubarak allow eighty-eight Muslim Brotherhood members into parliament in 2005—as a useful tool for scaring the Western governments into thinking that democracy in Egypt would inevitably bring the Islamists to power—but his regime subtly colluded with Islamists against their more democratically-inclined compatriots and religious minorities, notably the Copts. This background explains why the Muslim Brotherhood initially declared its opposition to the street protests in January 2011, refused to demonstrate against the regime, and issued a formal statement almost a week prior to the mass protests in which it stated that the organization “will not take part in the street protests against Mubarak’s regime as a political force or a political entity.” Only on realizing the inevitability of Mubarak’s fall did it change tack and join the protest in strength. Likewise, a statement by the leader of al-Gama’at al-Islamiya, Nageh Ibrahim, urged all members of Islamist groups to shun street protests as these were against the Islamic da’wa (call to join Islam)whereas another group, The Salafi Da’wa in Egypt, rejected the protests as opposed to the interests of Salafis. Freeing Col. Aboud al-Zomor, the mastermind behind the Sadat assassination, from prison whilearresting a secular, liberal, Egyptian blogger. Maikel Nabil Sanad was arrested on March 28, 2011, and faced trial in a military court for criticizing the ruling military council and the Egyptian army in hislatest article. After announcing that they would issue a ruling on April 12, the military authorities, attempting secrecy, on April 10, sentenced him to three years in military prison for practicing his basic right to free speech on April 10, two days before the date they announced in court to his lawyers. Issued a constitutional declaration on March 30, 2011 and revised articles that had not been voted on or mentioned in the referendum while adding the second article in the constitution —making the Shari’a “the principal source of legislation“—to the declaration, so as to combat free speech, suppress secular dissent, and persecute non-Muslims and women. Consulting with Sheikh Muhammad Hassan before issuing a statement on the rebuilding of a church near Cairo, destroyed by a Muslim mob on March 5, 2011. Hassan is a jihadist known for his radicalism and online incitement of suicide bombings as well as for his support of the Mubarak regime and opposition to the street protests. Hassan and the military have agreed to rebuild the church in accordance with the Shari’a concept of diyah, in which a Muslim is not punished for vandalizing the property of an infidel but can pay a financial compensation. Not arresting or persecuting any of the Muslims responsible for hate crimes against Christians. In March 2011, for example, a group of Salafi thugs attacked and brutally tortured a Christian man, cutting off his ears, for renting one of his apartments to a single Muslim woman. This suggests that the military plans to continue governing Egypt in accordance with Shari’a law and practice whereby Muslims are not punished for committing any crime against a non-Muslim. Appointing Tareq al-Bishri, a retired judge, to head a committee for constitutional reform. Bishri has expressed approval of and fondness for the Brotherhood, saying that he personally appreciated the organization; he is also known for radicalism expressed in his book The Secular-Islamic Dialogue in which he stated that a secular-Islamic dialogue was completely pointless. All this means that at the governmental level the Egyptian revolution has thus far failed because the Mubarak regime, albeit without the person himself, remains very much in place. The constitutional changes approved by the March 19 referendum, aimed at paving the way for parliamentary and presidential elections in the early summer, are not conducive to real democratic reform but pander to those groups opposed to democracy. The changes put the nascent secularist and liberal parties in marked disadvantage vis-à-vis their well organized Islamist counterparts, on the one hand, and the ruling establishment, on the other. The majority of the fourteen million voters who approved the changes (or 77.2 percent of the total vote) came from the government’s six million employees and their families—a massive voting bloc rejecting the revolution and opposed to real change, which sought to preserve the status quo from which it had profited. But the fact that the Islamists cast their vote the same way provides further proof of the communality of goals and interests of the two camps and their eagerness to secure the status quo as the next parliament will write the new Egyptian constitution in the absence of classic liberals and secularists and leave the real reformers out in the cold. Then there is the Saudi government, whose relations with the Brotherhood date back to the 1930s, which views the protests as a potential threat—not only to its influence in Egypt, currently a major breeding ground of Salafism, but also to the future stability of the Saudi monarchy itself. Small wonder, therefore, that Riyadh rejected Cairo’s possible drift toward democracy and criticized Washington’s cold shouldering of Mubarak. It also had a leading mufti issue a fatwa (religious edict) against the protest movement, calling this nonviolent dissent “an act of war on Islam, and the collective Islamic nation.” It even threatened to cut all diplomatic ties with Cairo, should Mubarak be prosecuted. Islamists have long controlled the educational system and mass media in Egypt. As a child in a private Cairo school, I was personally taught intolerance and militancy through my Arabic language textbooks. We were taught, for instance, that hacking necks and limbs was good if done for the “right reasons” and urged to follow the example of Uqba ibn Nafi (622–83), a militant, Arab Muslim hero known for his cruelty, from an Arabic school textbook that carried his name. 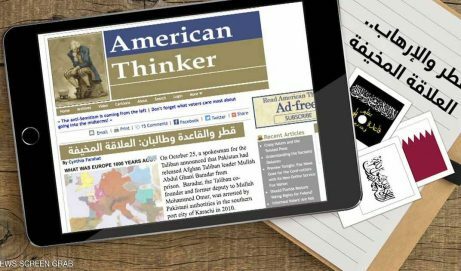 Later, when I joined other secular Egyptians in publishing a newspaper, al-Insan (The Human), the Mubarak government denied us permission—even as it allowed Salafi jihadists daily access to television and other state-sponsored media. The Egyptian government was not unusual in this regard: Regimes in Arab countries have been united by common crimes, not by common interests or goals. The dismantling of the collective, totalitarian psyche threatens the so-called “moderate Arab regimes,” those that justify their existence by systematically inflating the Islamist threat, which they pretend to suppress, while effectively collaborating with Islamists. Now suddenly, the long subdued, subject populations are uniting to overthrow these regimes—not in the name of Shari’a or pan-Arabism but under the banner of freedom and prosperity. The Tunisian revolution was the first step in dismantling the old repressive, regional order; the Egyptian revolution was the second. Even if the near future belongs to the enemies of freedom, something profound has changed among Egyptians; none of them will be the same again. Freedom may look like a distant dream, but it is still closer than ever imagined prior to 2011. Cynthia Farahat is an Egyptian political activist and writer. See, for example, The Washington Times, Mar. 27, 2011. Anwar Sadat, Asrar at-Thawra al-Misriya (Cairo: Dar al-Hilal, 1957), pp. 44-53, 60-7, 90-2; P. J. Vatikiotis, Nasser and His Generation (London: Croom Helm, 1978), pp. 54, 60, 73. Al-Masry al-Youm (Cairo), Oct. 8, 2009. Robert St. John, The Boss: The Story of Gamal Abdel Nasser (New York: McGraw Hill, 1960), pp. 41-2. Open letter from Anwar Sadat to Adolf Hitler, al-Musawwar (Cairo), Sept. 18, 1953. Khaled Mohieddin, Memories of a Revolution (Cairo: American University of Cairo Press, 1995), p. 45. Al-Youm al-Sabe’a (Cairo), Mar. 18, 2011; Misr News (Cairo), Mar. 21, 2011. The New York Times, Nov. 1, 2006. Daniel Pipes, “Copts Pay the Price,” DanielPipes.org, Jan. 12, 2011. Al-Dustur (Cairo), Jan. 19, 2011. Al-Ahram (Cairo), Jan. 24, 2011. Mawqi as-Salafi website, accessed Mar. 30, 2011. Al-Ahram Online (Cairo), Mar. 11, 2011. Assyrian International News Agency, Mar. 16, 2011; YouTube, Feb. 26, 2003, Jan. 16, 2009. Akhbar Misr (Cairo), Mar. 26, 2011. Al-Jazeera TV (Doha), Feb. 15, 2011; al-Ikhwan al-Muslimun, Feb. 15, 2011. Nabanews (Sanaa), Feb. 5, 2011; goodnews4me (Cairo), Mar. 17, 2011. Agence France-Presse, Feb. 27, 2011.